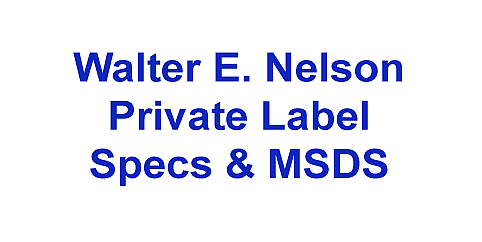 Below are some Walter E. Nelson Private Label Brochures and MSDS PDF Documents. Download Adobe Reader (or equivalent) to view PDF. Due to the large file sizes, they have been divided into sections to assist with your download time.